Welcome & Housekeeping: Jon David continues to lament on the struggles of life and how much his pipe has been an asset. Beau talks about Best of Jackson 2018, for which CSR was nominated for best local podcast. It did not win, however Beau’s Podastery podcast ‘Let’s Talk Jackson’ did win. Raleigh Pipe Expo Reception Party coming up soon on April 6, from 5-9pm at the Ramada Inn on Blue Ridge Rd. in Raleigh, NC. The Pipe & Tobacco Expo is on Saturday April 7th, 9am-4:30pm in the Holshauser Building at the NC State Fairgrounds. Texas Pipe Show Oct. 6 2018, additional info to come. Brady Muckelroy (listener) missed the Custom Cob Competition auctions, but made a huge extra donation. Next Custom Cob Competition may be on a different holiday this year, stay tuned! Jon David congratulates Peter Massey on his 100th Loyal Squire’s punchcard, which amounts to 150lbs purchased tobacco from the Country Squire. New pipe club members announced (I won’t try to butcher their names in text as well.) Addendum note: NOLA Pipe Club will be taking a day trip to the Squire on Saturday 2/24. Topic: JD and Beau reopen the discussion on Pipe Culture, specifically looking at pipe smoking archetypes with community commentary provided by listeners, all detailed below. Additional thanks to www.reddit.com/r/pipetobacco for their contributions to this episode. /u/randallleemorgan – “When I think of the archetype of the farmer I'm reminded of my grandfather, a true Mississippian born and raised outside a small town no one would recognize. A man that worked as a millwright every day of his adult life because that's what he had (and I think loved) to do. Farming was something he didn't do for income but for survival; to make ends meet. Planting his own fruits and vegetables, raising chickens, and even hunting during the fall and winter all to provide for his family. This man is someone who loves a good pipe full of some tobacco, I’m guessing Cherry (Didn’t everyone in the 60’s smoke cherry tobacco). Later in life before I was born he had to lay down the pipe for the sake of my grandmother's heart condition but his the pipe wasn't his only source of vitamin-N. Maybe a nice big cheek-full of some Beechnut Chewing Tobacco while reading the paper or sitting on the tailgate of his old GMC secretly slipping is 4 year old grandson a strip of that chewing tobacco that may or may not have provided the aforementioned grandson his first case of nicotine sickness. The farmer archetype is that of someone who isn’t afraid to get his/her hands dirty. Someone who works hard every day to provide in time of plenty and time of lean. But the pipe is his one guilty pleasure, something just for him. Darren – “I recommend reading this article by Jonah Goldberg called ‘Democracy in the Tobacconist’s’ (http://www.nationalreview.com/article/367088/democracy-tobacconists-jonah-goldberg) and it’s really about cigars but I feel there are a lot of themes that will overlap. The G.K. Chesterton quote in particular addresses why it may be frowned upon and both social strata and why they should not care” G.K. Chesterton quote - "To have a horror of tobacco is not to have an abstract standard of right; but exactly the opposite. It is to have no standard of right whatever; and to make certain local likes and dislikes as a substitute. Nobody who has an abstract standard of right and wrong can possibly think it wrong to smoke a cigar. It is a vague sentimental notion that certain habits were not suitable to the old log cabin or the old hometown. It has a vague utilitarian notion that certain habits are not directly useful in the new amalgamated stores or the new financial gambling-hell. If his aged mother or his economic master dislikes to see a young man hanging about with a pipe in his mouth, the action becomes a sin; or the nearest that such a moral philosophy can come to the idea of a sin. A man does not chop wood for the log hut by smoking; and a man does not make dividends for the Big Boss by smoking; and therefore smoking has a smell as of something sinful." Pipe Question of the Week: Ryan Smith in Louisiana asks “When people say a blend is burley-based I figure there are large variations in what the flavors can be. Some burley-based blends are cigarette-like, high in nicotine and a bit harsh smoke for me, but some are mild and nutty that have that awesome codger-like quality. I tend to prefer the latter. Is it a specific type of burley I should be looking for or are the condiment tobaccos more to blame for the large variations? PS. Looking forward to meeting you guys when the NOLA Pipe Club comes up to invade the Squire in February. Thanks for the show and keep up the great work.” Paraphrasing here, but Jon David comments that burleys are varied and not all are created equal. Air cured burley is softer, kind of nutty, more nicotine, and just all around smoother and then we have toasted and fire-cured burleys that are smokier because the leaves are infused with these particles. They’ll be a little more harsh, smoky, toasty. But burley is lurking everywhere. Unless the blend specifically says “no burley”, it’s probably in there somewhere. It’s so adaptable. It’s a chameleon. Takes on flavors of other tobaccos. Ages well. Adds body and nice mouthfeel. Thick clouds of smoke. They also kind of have a bad rap. Some people assume they just don’t like burley when they don’t realize there are many different kinds! 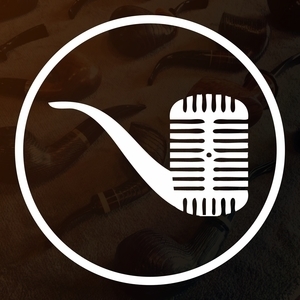 Listener Feedback: Itunes review from ShadowMasterMan – “First and foremost, if you are a pipe smoker, you need this podcast in your life. Jon David is not only an encouragement as a person but a true master in the field of tobacco. I have learned an incredible amount from him, and truly developed a love of the pipe as a result. Beau is an incredible host, who puts out a high quality show time and time again. The sound quality is flawless, and the content equally so. You will not be disappointed subscribing to this show, I’ve binged every episode since discovering them in Afghanistan and will continue to be an avid listener. Jon David & Beau, thank y’all for the hard work y’all do for us, I think I can speak for the entire community when I say that you are truly appreciated. Thanks & Gig Em! Ending & Wrap-up: Please check out the show sponsor websites to learn more about them. And please consider joining the Country Squire Radio Pipe Club. I’ve provided a link to Patreon below as well as show credits, twitter handles, websites, emails, and times. And for those missing their club cards, Beau promises they are coming this week! He swears it! He said it last week, but this week he means it. Pinkie promise covenant. Alright guys, great great show! One of our favorites because of the community involvement! Also, if you have any suggestions on new community-type series for CSR to do, please contact them! Anyway…let’s go have a night!